Content elements are the key WP MoneyClick building blocks. 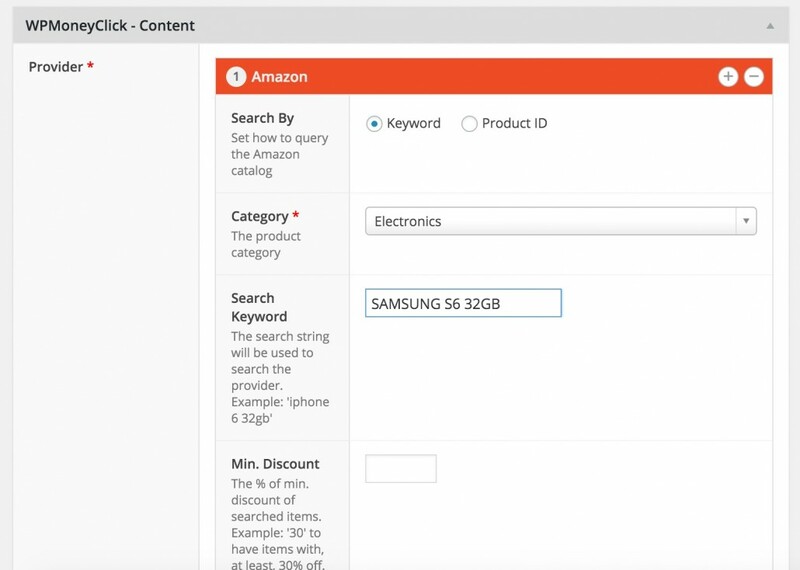 You can define any number of contents using different content providers that give you access to local and remote data just with some mouse click. Save in a local cache the remote data for optimal performances. Once the data expires the system will automatically get new ‘fresh’ data from the remote provider. Thanks to direct API usage, the content you will render in your web site will NOT be blocked by AdBlockers. Content provider will give you access to different type of data (depending on the content provider you are using). All these information can be rendered in your web site, accordingly with your needs, thanks to the content templates. With this content provider you can get any RSS feed on the internet and use it in your web site. With the templates you can simply display the information coming from the remote web site and/or render hyperlinks to the external articles. 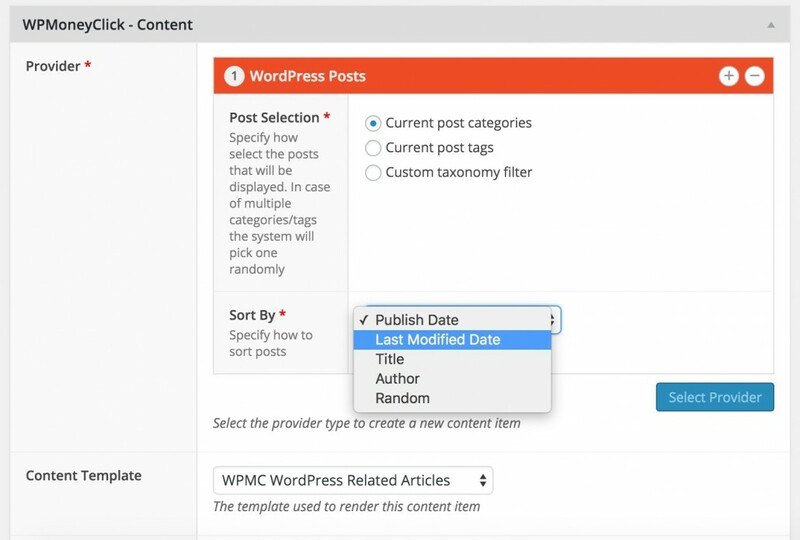 This provider gives access to all the WordPress posts of your web site, including standard posts as well as any WP custom post types. You can use these provider, for example, to display single inline related article, or multiple related articles may be using a flyout popup to capture the user attention. Typically this is used to reduce the web site bounce rate, increase user interaction with your site, etc. There is a family of content providers that interface affiliation web site like Amazon, eBay, Apple iTunes, etc. The system is able to query the providers to fetch product information, that you can use to render banners, offers or whatever you want in your web site. All types of affiliations are supported: PPC (Pay per Click), PPA (Pay per Action) and PPS (Pay per Sale). For each product you will get information like product code, title, description, price, discount (%), discount value and offer target link.